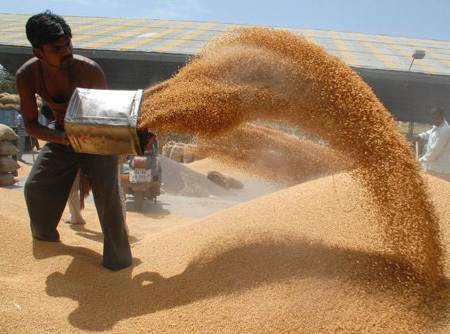 The spokesman said the procurement process was in full swing with various government agencies and private millers procuring over 115.63 lakh tonnes of wheat till Sunday evening at 1,757 procurement centres. The agencies had procured only 110.32 lakh tonnes of wheat in the like period last year. "The Punjab government is committed to procuring all the wheat coming to the mandis (wholesale grain markets) of Punjab despite meeting the procurement target already," he said. Sangrur, Ludhiana and Bathinda districts led in procurement in the state this time. In neighbouring Haryana, over 64.4 lakh tonnes of wheat has so far arrived in various grain markets. As much as 64.38 lakh tonnes out of these has been procured by government agencies, a state government spokesman here said. Last year, only 58.57 lakh tonnes of wheat had arrived in the corresponding period.